We had another successful night on Friday with 54 of us joining together for a virtual stitch-in! If you’ve never joined us, or even if you have, you’ll have to agree, it’s loads of fun…….time dedicated to stitching with girlfriends in your jammies, eating chocolate and other wicked stuff!!! Totally S.E.L.F. time….it’s wonderful! 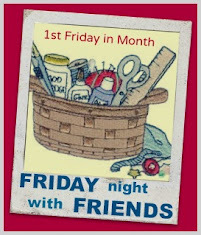 Why not visit all the girls to see what they got up to on Friday night….there’s a load of inspiration and fun….pop back to THIS POST to join up with all the links. In the meantime, Mr RNG and I have been picking the winner of Fee’s gorgeous design for this month’s prize…. I just know you’ll love our prize this month…..it’s adorable, just like the wonderful lady who designed it! congratulations Rockgranny. enjoy your gift..